This month, we’ve been very pleased to receive a blog post from Rachel Calnan, a programme associate of BGE’s who has just got back from Zimbabwe following her placement with the International Citizen Service (ICS). 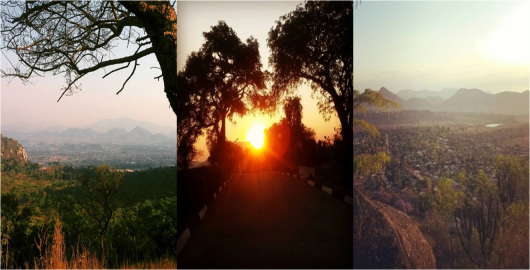 Read Rachel’s account of her time spent volunteering and exploring in this fascinating southern African state. Tell us about the recent trip you took to Zimbabwe, Rachel. I recently returned from 3 months of volunteering in Zimbabwe, with International Citizen Service (ICS), a government funded programme, allowing young people from the UK the opportunity to volunteer abroad in a wide range of developing countries. I went with international development charity, Progressio, along with a team of volunteers to work alongside Simukai Child Protection Programme, based in a town called Mutare. 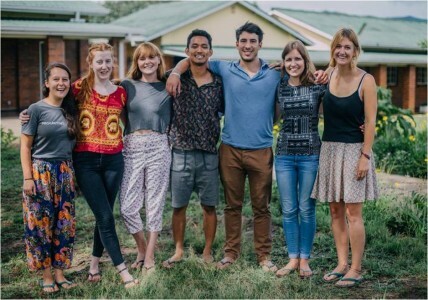 My team, made up of seven UK and seven Zimbabwe volunteers, worked in several institutions around the city, delivering peer education sessions on the topics of Sexual Reproductive Health, Child Rights and Income Generating Activities. As well as these institutions, we worked with the street children of Mutare, who came to the Simukai centre daily to access meals and washing facilities; and children in the ‘Place of Safety’, a temporary shelter for vulnerable children. We also organised several awareness days and community events! Our work was varied, from facilitating sessions on sensitive subjects to playing crazy icebreaker games; we were always busy and never bored. For someone who might not have visited Zimbabwe before, can you briefly tell us a bit about the country? Zimbabwe is a country of harsh contradictions. 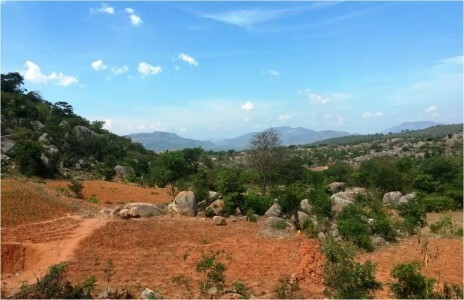 Incredibly beautiful scenery is the backdrop to desperate poverty. Zimbabwe’s turbulent political history has led to substantial human rights issues and dramatic economic decline. Unemployment rates soar at 90%, prompting a nation of innovative, self-sustaining people. Despite a troubled past (and present) we were treated with nothing but generosity, open arms and a complete willingness to share. We often found that life in Zimbabwe is like living in a musical, constant music and singing in the background, and around almost every corner, somebody is dancing. What made you want to apply and what preparation did you have to go through before leaving the UK? I’d been working in the charity sector for 18 months, and this opportunity gave me the chance to step into the world of international development. Project based, frontline work has always been my goal and volunteering in Zimbabwe provided exactly that. As well as all of the usual ‘physical’ preparations: getting vaccinations, ensuring you have practical and appropriate clothing, I think it’s always a good idea to think about your mental preparation too! Culture shock is something to take into consideration, I’ve been lucky enough to travel to similar countries to Zimbabwe before, so felt prepared for cultural differences, but as always you have to learn and adapt as you go! Thinking about how you may cope when faced with difficult and/or emotional situations is really important too. Through personal experiences I’ve learnt to cope with emotionally challenging circumstances, plus it really helped that I had such a supportive group of people around me whenever I needed to share what I was feeling! What was the biggest challenge you faced, personally or as part of a team, whilst you were there? 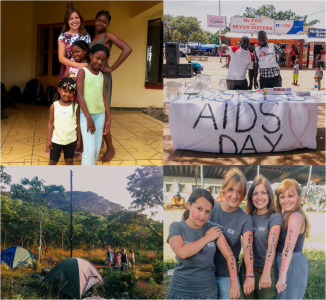 World AIDS Day – celebrated on December 2nd, we worked alongside MSF (Medicins Sans Frontiers) to provide two mobile testing clinics in Mutare. In one day 263 people were tested for HIV which was an incredible achievement! Lowden Lodge – one of the institutions we worked with, a school for disabled girls, it was always a pleasure to deliver a session here as the girls were so enthusiastic and loved seeing us. Every session ended with a song and plenty of hugs! Camping – taking a group of boys who lived and worked on the streets of Mutare, to join the provincial scout camp (over 300 scouts attended!) was a brilliant chance for them to enjoy some time to be children. Seeing their faces and how much they enjoyed it, was amazing. Host family – living with a host family is such a wonderful way to really feel part of a community when living or working overseas. I gained 3 gorgeous little sisters (plus one cousin!) and loved all the time I spent with them. What advice would you give the young people thinking of volunteering abroad in a country similar to Zimbabwe? Do it! If there is just a small part of you that thinks you would like to volunteer abroad, then listen to that voice! Pick wisely! Don’t just leap at any opportunity; do consider the project/charity/set-up that you’re applying to. Look at the sustainability of any work you would like to get involved with, is this project going to carry on after you have left? Are you actually preventing local people from accessing employment because of your role? Is it a project you feel passionate about and will get stuck into? Commit yourself! Remember why you chose to embark on this adventure. The people who get the most out of these experiences are the ones who throw themselves fully into their work and embrace any opportunities. The more you put in, the more you will get in return. Be open! To learning, to growing and for things to not happen as you thought they might. Try not to have too many expectations, inevitably things will not go according to plan, but being flexible means you will be able to learn from any unexpected experience that comes your way! Signing up to ICS was the beginning of a journey I wasn’t aware I was about to take. A journey not only in the physical sense of travel, but a journey into the heart and soul of a country, a journey of growth and exploration with a newfound family, a journey of change and experience that was impossible to imagine before I departed. So be open to the people around you, to trying new things, and to pushing yourself further than you normally would. 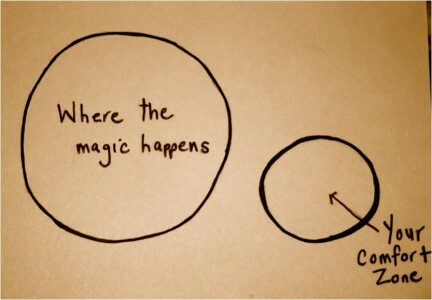 After all, the best things in life happen outside of your comfort zone! We’re very pleased to announce the launch of our exciting new innovation challenge, Creative Disruptors. Due to begin in April 2016, Creative Disruptors (CD) is a student innovation challenge open to young people in the UK and Tanzania undertaking Key Stage 3-5 education. Working in teams students are presented with a challenge brief, “to invent or innovate an appropriate technology…” that tackles a 21st century issue. Centred on issues surrounding the theme of Sustainable Development, students must strive to innovate an appropriate technology that meets a user’s needs. The challenge is supported by our unique resources and skills-sharing platforms as well as partner makerspaces in the UK and Tanzania. Creative Disruptors requires students to work in teams to problem solve, create and innovate, supporting a cross-curricular application and enrichment programme. The challenge theme for 2016 is HOME within the local community. Students will be required to explore different user needs in different contexts of the theme in order to research and develop an appropriate technology prototype. A key learning outcome for this challenge is for students in the UK and Tanzania to see how their international peers are tackling the same challenge brief. By sharing the same online learning space, teams will share their approaches to problem solving and making throughout the challenge. Students will improve their understanding of and capabilities for studies related to design and technology for innovation. Students will demonstrate improved skills for practising critical thinking and empathy alongside a deeper cross-cultural understanding. Our resources support exploration of these learning outcomes and will be offered as supportive tools in the innovation processCreative Disruptors has been developed by a team of international organisations, each with the relevant expertise and practice to build and deliver this exciting project. Find out more on our new international programmes site, Global Education Initiatives. Bright Green Enterprise is pleased to be supported in Creative Disruptors by the following three organisations.